Antwerp is a compact and cozy city and it means in one weekend you will see most of it. It’s also one of the most commonly visited cities in Belgium and the second largest city in the Kingdom of waffles. The city has plenty of things to be proud of and in this weekend in Antwerp itinerary I will introduce you to the most significant ones. 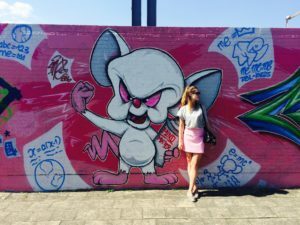 If you are planning to visit Antwerp check out my tips and tricks how to travel light! 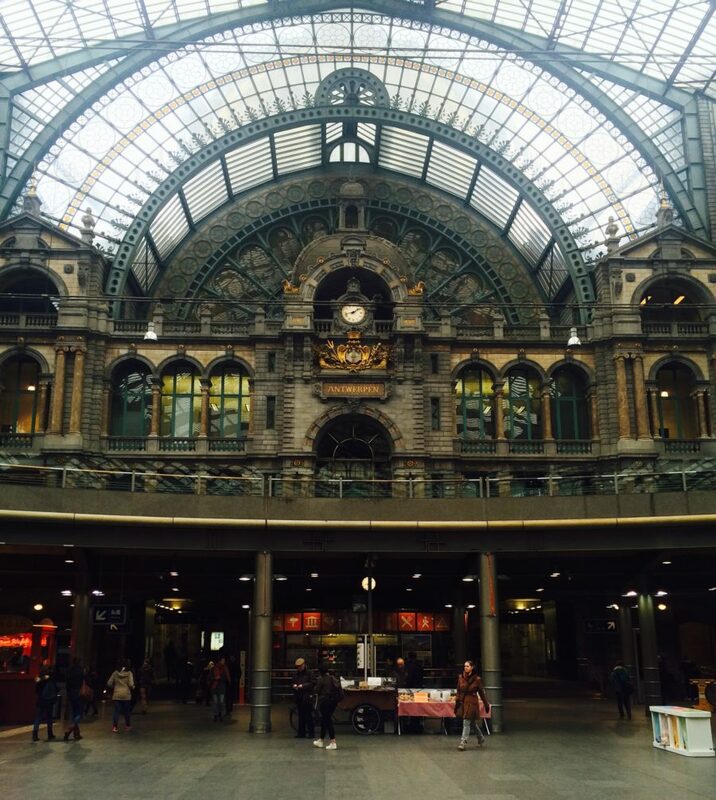 This itinerary is also ideal for a one day trip to Antwerp. Anyway it’s better to come to Antwerp by train and not only because of the costs but also because you will arrive in one of the most beautiful train stations worldwide. I promise you, you will be magnified by the extraordinary architecture of the 19th century. It’s also beneficial to get an Antwerp City Card if you stay for the whole weekend in Antwerp. You will be able to enjoy public transport and various museums for free. You can also get some great discounts with this City Card. One of the main things to do in Antwerp is to visit the legendary Diamond district. Antwerp is “The World’s Capital of Diamonds”. It has a decent district with diamond dealers, merchants and brokers, who are by the way mostly Jewish. Since a long time diamond trading is ruled by jewish people. After all if you found the love of your life and you feel that your relationship is going to another level, don’t hesitate to go to the city of diamonds. Undoubtedly you will find the perfect ring and she won’t even think to say “no” to you! We all know, diamonds are a girl’s best friends! My advice before you walk around, go to Diamond Land and get closer information about the gems there, but be aware, the prices outside of that store are lower, much lower. 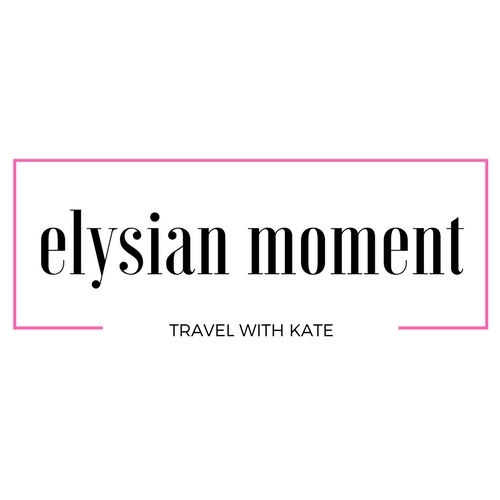 You were probably asking yourself why Antwerp is the city of diamonds? What is so special about it is that almost 80% of all diamonds all over the world are shipped to Belgium? So, here is the answer: Antwerp just got lucky! It has second biggest harbor in Europe and furthermore the position of the port is ideal: it’s in the heart of Europe. Since 15th century all trading including the diamond trading were happening here. 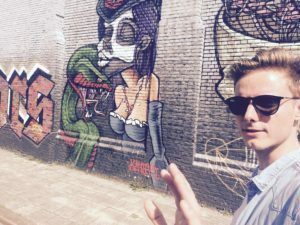 If you travel to Antwerp you should know the city is famous for it’s artists. Great artists like Rubens, who is famous for his affinity for voluptuous nudes, and other renowned painters include Weyden and Van Eyck were born in this inspiring city. A typical touristic place is Rubens House, built in 17th century architectural style containing a modest collection of his work. Worth to see it. My advice, if you don’t want to waste all your money on museums, then visit Antwerp in the last week of the month. On the last Wednesday all museum are gratis, so you will have more money to enjoy Belgian beer. One more important monument of Antwerp: the seven-aisled gothic Cathedral of our Lady. The background story of that cathedral is very dramatic: it took over two centuries to build the magnificent monument and some tragic accidents happened during the constructions. It was damaged a couple of times through fire and different wars, so a high amount of artistic treasures were destroyed. Only by the end of the 19th century the church was finally completely restored. Nowadays the cathedral possesses some meaningful masterpieces of Rubens. Antwerp means “throw the hand” and it’s name comes from an interesting Belgian myth. Once upon a time a giant Antigoon was terrifying the city. A young brave man Brabo defeated the villain by cutting his hand off and throwing it into the river. The imposing statue which captures the moment of glory is standing proudly in front of the Town Hall at the Grote Markt square. At the Grote Markt you will notice that the medieval city impresses with it’s beautiful architecture and splendid art. If you get hungry read more about Hippe Restaurants in Antwerp that you should definitely visit. Another attractive and currently hipster area of Antwerp is the South, Zuid. In that young and vivid district you will be always entertained: numerous markets, exhibitions and delightful cafés and restaurants. Great place to visit and to enjoy good weather and fascinating view of the stone monument with the God of the sea, Neptune on top of it, is Marnix Square. Go there to bar Neptune, it’s very cozy pub with a friendly and sociable young service. In the evening the square is crowded with sympathetic and chatty people, occasionally you can even meet Belgian celebrities. Last but not least it’s an amazing spot to get to know new people and have nice conversations. 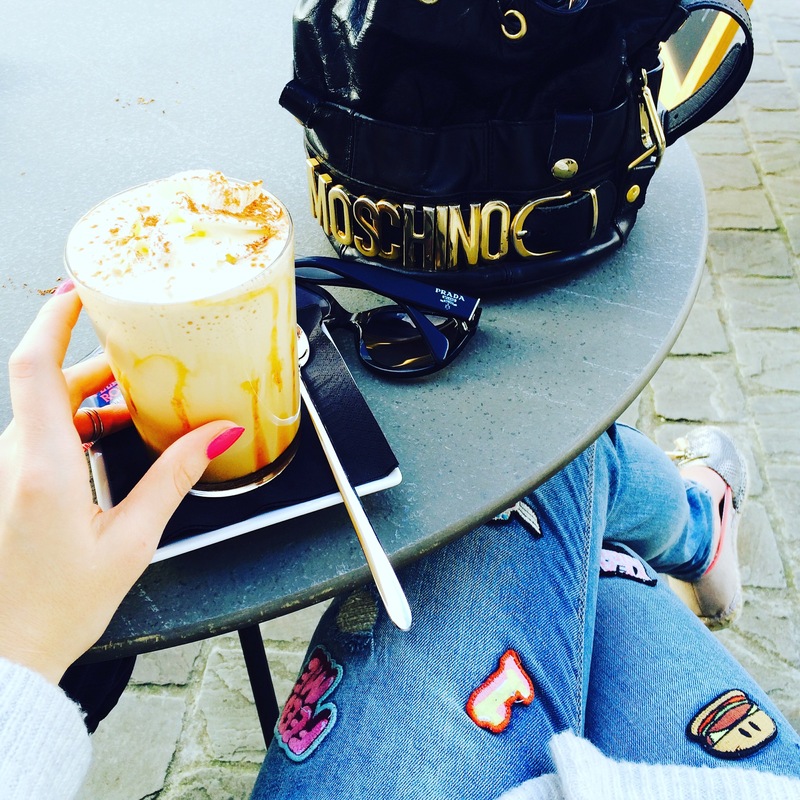 Start your day at Antwerp’s harbor. Here you will find various cafés, restaurants and even a museum. Get some great coffee from Pelican Rouge. After the caffeine energy boost it’s time to visit the MAS museum: a tremendous modern architecture of red brick decorated with little hands. Honestly I’m not fascinated by that building, my personal opinion is it doesn’t fit to the lovely historic harbor of Antwerp. Although inside of the museum you can discover different exhibitions on 9 levels. On the top of the MAS you can experience the panoramic view of the city, which is breathtaking. Modest Antwerp is additionally famous for being an international fashion capital. The fashion department at The Royal Academy of Fine Arts laid down the foundation for many talented and creative designers. Belgium is very quiet about communicating the achievements of it’s artists though. At the shopping street Meir you can find numerous amounts of stores and whatever your personal taste or style is, in this city you can always shop till you drop. If you are not interesting in spending money on the designer clothes, you can learn something about fashion: visit MoMu, the museum of fashion. After gathering historical knowledge it’s time to get to know the Belgian beer culture. Moreover the best way to consume some delicious gold drink is at the places where you can find only locals. One of them is charming Zeezicht: it’s located a bit further from the city center in the Zurenborg area on the square surrounded by splendid old buildings. Pay attention to the names of the streets, they are definitely amusing. 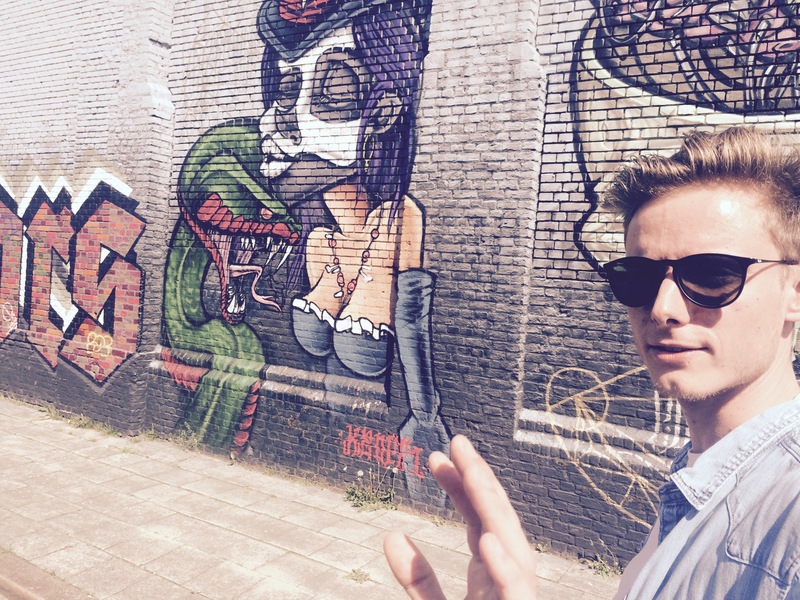 Close to the cafe you can also discover a long serpentine of colorful graffitis. It’s the perfect location for a new profile picture! De Koninck 5,2%, it’s Antwerp in the bottle! It has been launched in 1913 and has quite bitter taste with complex and delicious aroma of toffee, chestnut and caramel. Duvel 6,8%, special golden blond beer. It’s smooth and refreshing transparent beer with citrus notes. 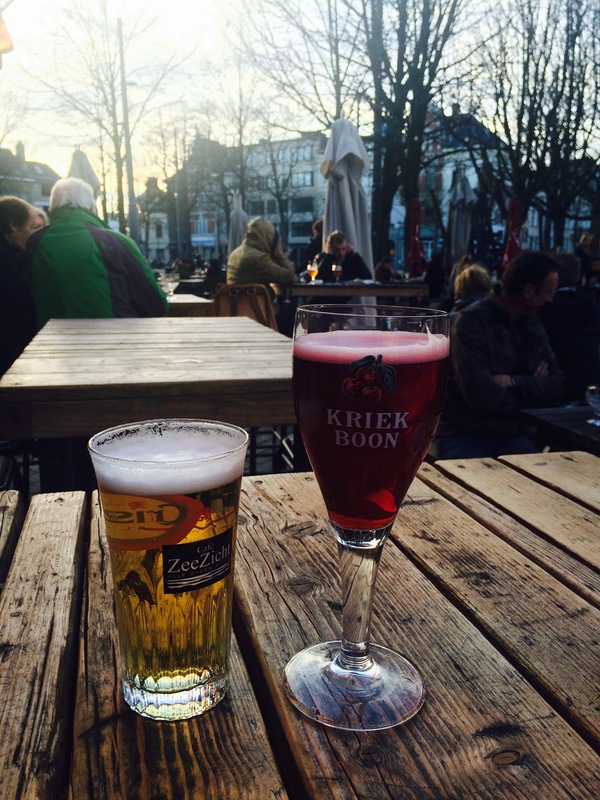 Kriek 4-6%, cherry cooling beer, perfect for girls. 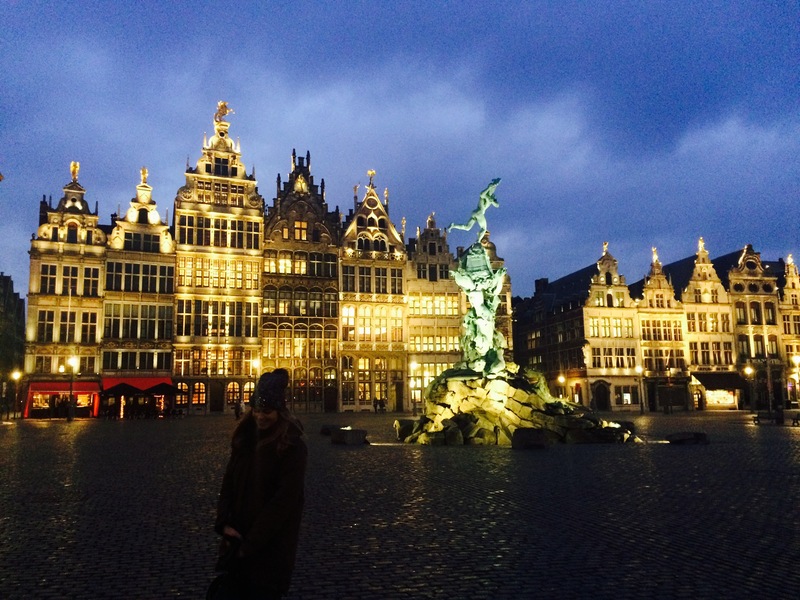 Don’t miss other beautiful towns in Belgium like Brussels and Ghent! My spouse and I stumbled over here coming from a different page and thought I might check things out. I like what I see so now i’m following you. Look forward to going over your web page for a second time. I’ve never been in Antwerp but it’s on my bucket list! You wrote a brilliant post! I love shopping, free entrance at museums and beer, so it’s the perfect destination. I think I’ll taste some De Koninck!